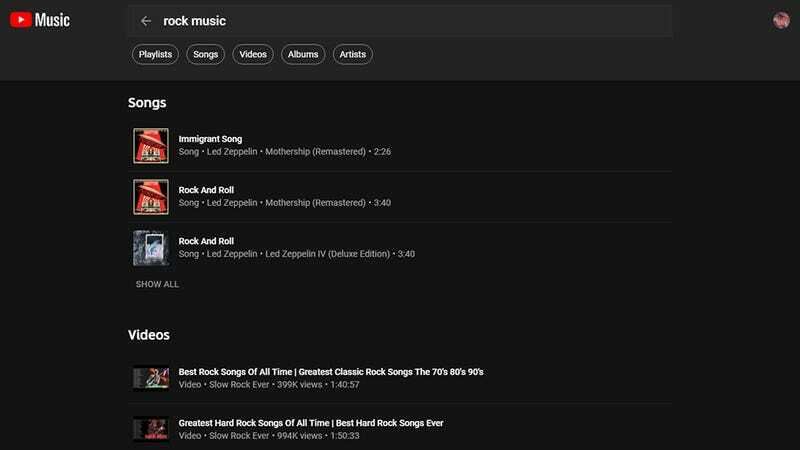 It might come as no surprise to you that Google has launched something that isn’t really finished: YouTube Music is available now in the UK and several other countries, but it barely qualifies as a music streaming service today. After using the platform for several days, here are the biggest problems we want fixing. Maybe YouTube Music will one day take down Apple Music and Spotify – and we’re prepared to admit that rolling Google Play Music into YouTube Music is going to be a challenging engineering task – but these current issues might make you think twice about parting with your $10 per month just yet. 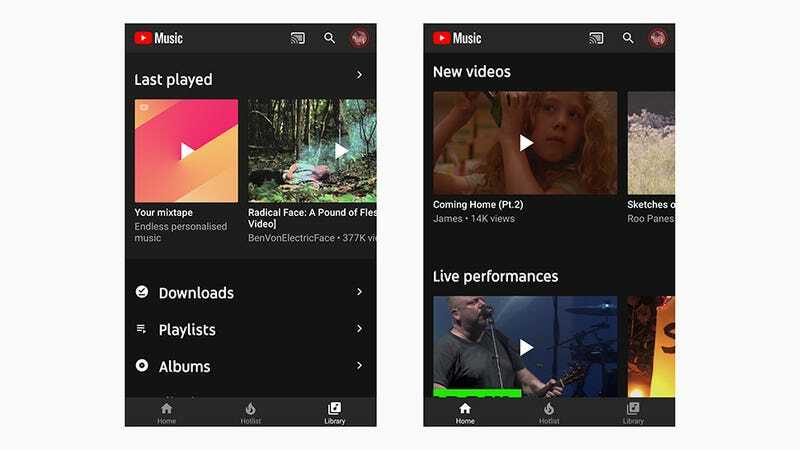 YouTube Music seems to be taking the bare-bones approach to its apps on the web and mobile, which tends to be Google’s approach in general. That’s fine if you just want to get listening quickly, and aren’t too fussed about what you hear, but for serious music lovers it feels too minimal right now. Once you try to get beyond the basics – searching for obscure songs, reorganising playlists, subscribing to artists, saving something to your library – it’s not always clear how to go about doing something (if indeed you can do it at all). It’s very much a slightly tweaked wrapper for the functions YouTube already offers. No doubt this is one of the areas where YouTube Music will improve, but right now it all seems rather unintuitive: Not just the bits of the service you can see and interact with, but the code underpinning everything, too. One of YouTube Music’s strengths is also one of its weaknesses, at least for now. Search for certain songs and you get a whole slew of choices across audio-only tracks and full videos – live cuts, unofficial fan tributes, uploads from the artist’s actual channel, and so on. That’s fine if you’re looking for a new take on an old classic, but it’s less useful if you’re trying to set up a playlist that’s consistent in terms of volume level, recording quality, and bitrate (the default seems to be a rather paltry 128Kbps, with better fidelity apparently coming soon). YouTube seems to be trying to put together a comprehensive, official library of audio-only tracks, too: Here’s the one for Cheated Hearts by the Yeah Yeah Yeahs, for instance. That’s probably necessary, but it makes working out which songs you want to add to your playlists even trickier. YouTube Music has a very smart natural language search that can turn up tracks even if you don’t know their actual names – try "new Cardi B song 2018"– but scratch beneath the surface and there are obvious gaps in the search functionality. Typing in names of artists, albums, or songs works well enough, but trying to filter results or narrow them down is tricky. You can’t search by genre or by year, or restrict your queries to the tracks that you’ve already added to your library (so you get results from the whole YouTube Music catalogue, all of the time). 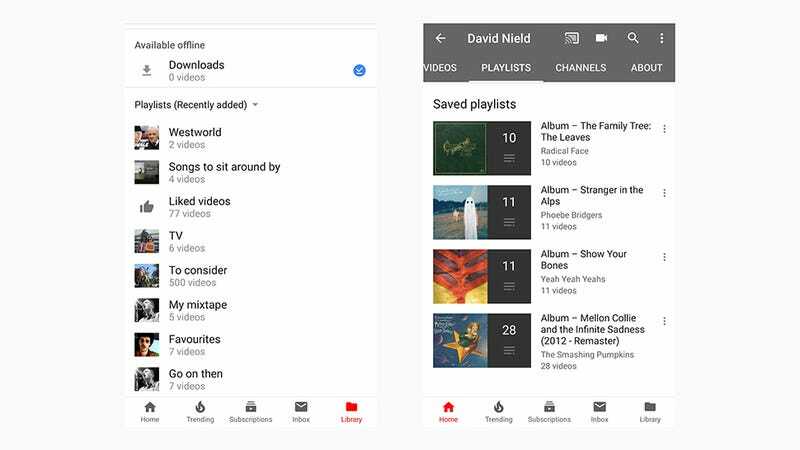 A similarly spartan search interface greets you whether you’re using the mobile apps or the web interface, as if YouTube Music is trusting its default, automatic search results to be as good as those you would get from Google – and it’s definitely not there yet. The whole point of YouTube Music is to combine YouTube with... well, music, but right now any playlists that you create in the Music app or web interface also appear as playlists in the standard YouTube portal, and you don’t get much control over how this works. 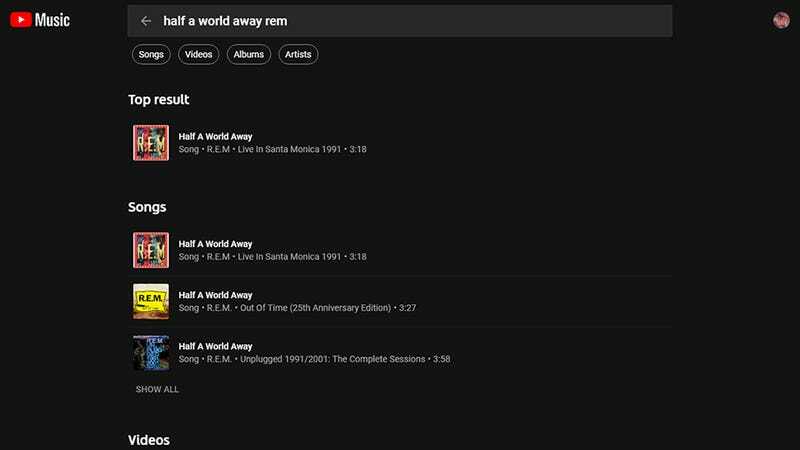 It’s fair to say that maybe you want your YouTube Music playlists available in the standard YouTube interface for easy access, but it needs to be a lot better organised than it is at the moment. Your chill out and summer day mixes are stored right alongside your classic cat video compilations and Westworld explainer clips; any albums you’ve saved to your library in YouTube Music appear as saved playlists in YouTube; and artists you follow in YouTube Music appear as subscriptions in YouTube, too. Even if the background plumbing relies on the same YouTube library, there needs to be a clear delineation between music playlists and the other, standard YouTube playlists. Once that’s been sorted, YouTube can get on with adding other useful stuff, like playlist folders. We’ve never found YouTube’s “recommended” videos pane to be all that intelligent, really – sure, the topics and channels are broadly similar to stuff we’ve already watched, but there’s a lot of repetition and not enough branching out into new, related areas. The recommendations in YouTube Music seem to deal in similarly broad strokes, though to be fair it’s still early days. The Your Mixtape playlist is interesting, but it can’t yet compete with the subtlety and breadth of the daily and weekly playlists that Spotify serves up. It’s also not clear whether regular watching in YouTube also influences your recommendations in YouTube Music (and vice versa). Given the wealth of data YouTube has on its users’ watching (and listening) habits, this should get better over time. One of the many areas where Spotify excels is in the way you can switch between devices. 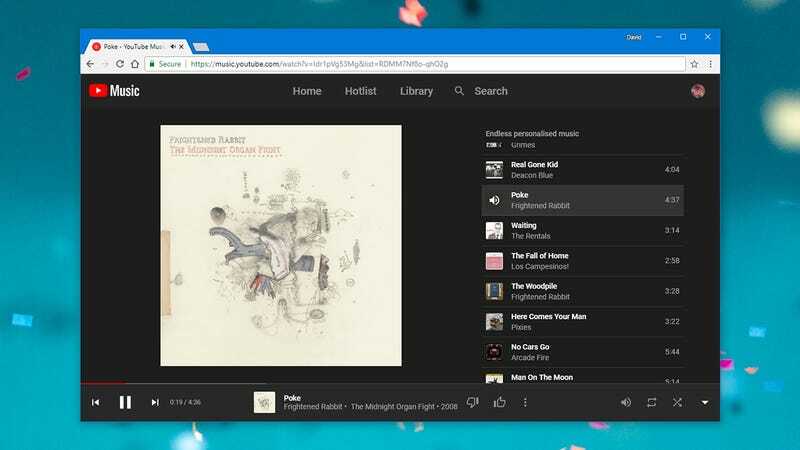 Open the smartphone app while Spotify is playing on your laptop, for example, and you get asked if you want to switch to playing the current playlist on your phone. 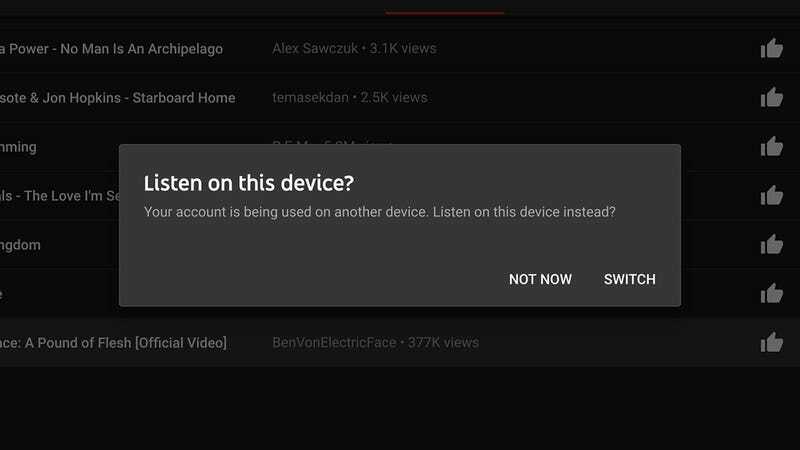 YouTube Music also detects when you’re listening on one device and start to listen on another, but you can only have one running at a time – and our attempts to switch from phone to web and back again have been consistently buggy, which kind of kills the mood when you’re trying to rock out to some tunes. There’s nothing along the lines of Spotify Connect yet, which is fantastically convenient for listening on multiple devices. There’s no Chromecast support available on the web portal either, though both video and audio tracks can be sent to a Chromecast from the mobile apps. 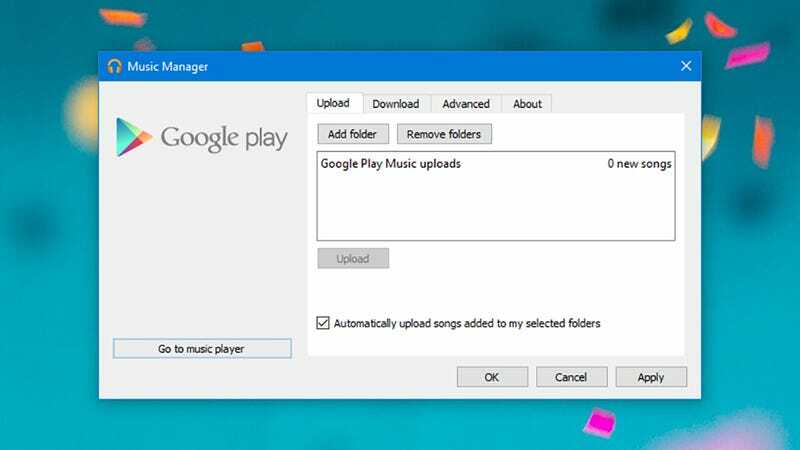 It might be unfair to include this one, as YouTube has promised to get around to it eventually, but YouTube Music should let us upload our existing music libraries to the service so we can stream those songs on demand. It’s a Google Play Music feature that hasn’t yet been ported over, but it needs to be handled if the two services are eventually going to merge. The feature may not be all that important for a generation raised on streaming, but it’s crucial for a lot of other people. And by the way, if you don’t want to spend $10 a month on a streaming service (and many don’t), Google Play Music remains the best free way to get your music on an Android device. Adding support for uploading tracks would mean you can keep on listening to those obscure b-sides and live versions of songs you’ve amassed over the years that might not be in the YouTube Music library. To give YouTube its due, this option is on the way, so let’s hope it arrives sooner rather than later.